We made over 75 products since 2003, below a selection. 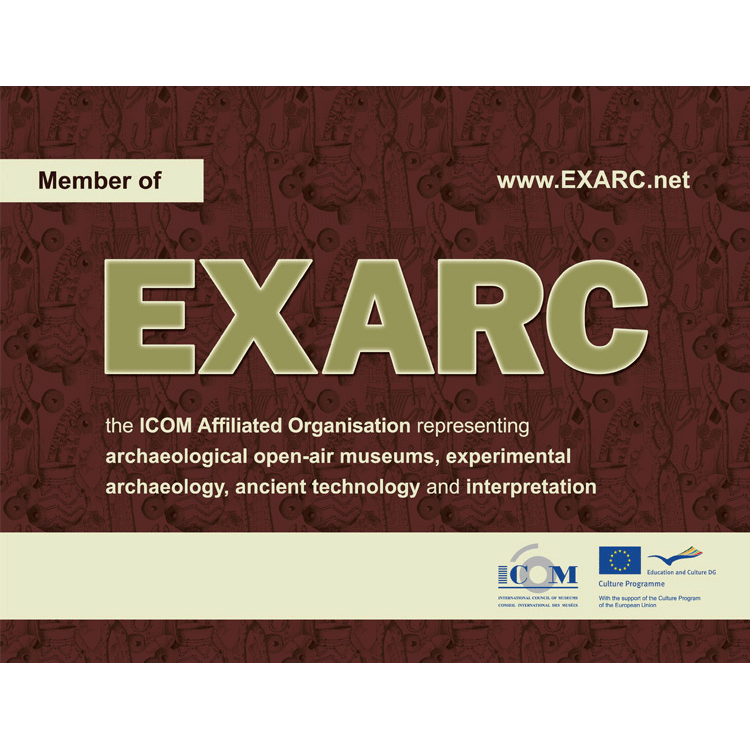 2019: time for a new folder, this time focused on showing what EXARC does Open Access versus For members Only. 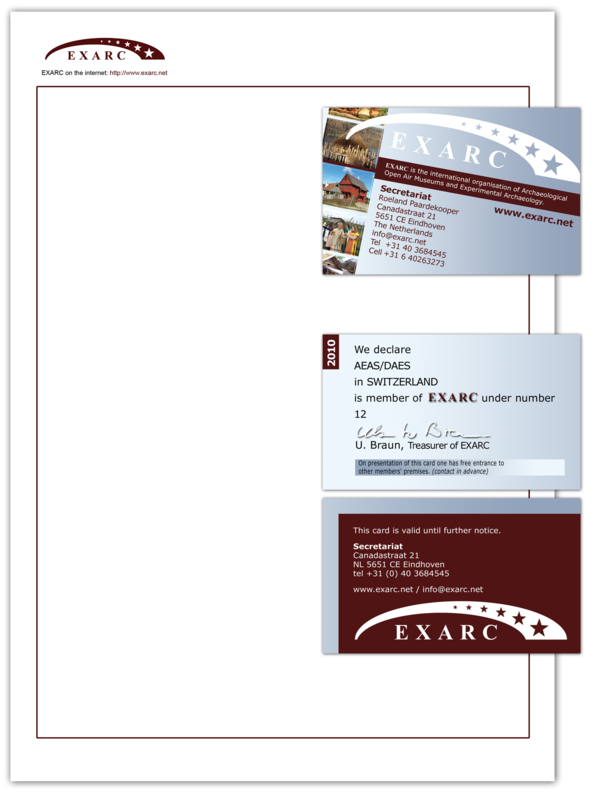 210 x 486mm, four fold, full colour, 2.500 copies. 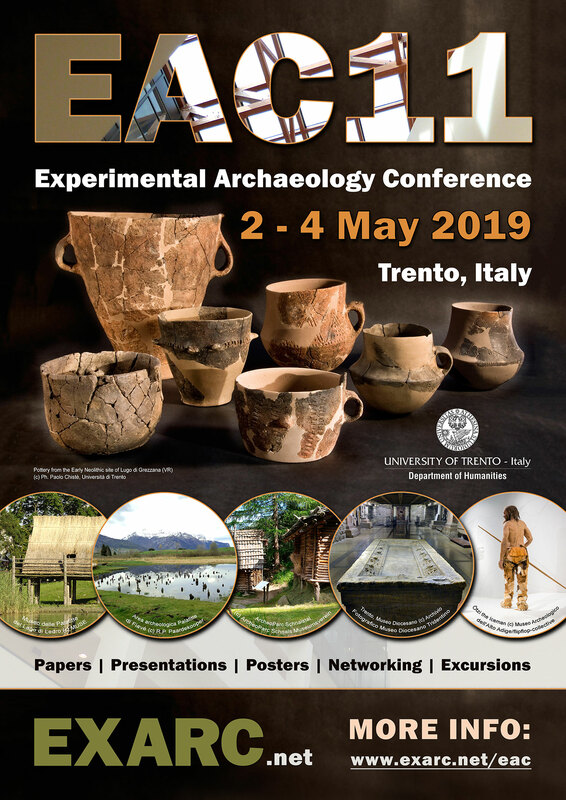 2018-2019: for the EAC11 (International Conference on Experimental Archaeology) organized by EXARC with Trento Unieversity, we deisgned A2 poster, which can be also used as flyer and small PR products (flyer / advert) to use on Social Media. 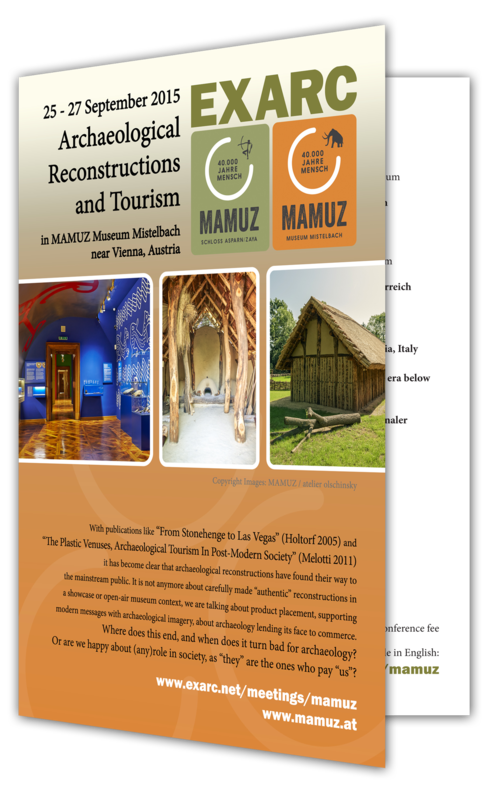 A few weeks before conference we also prepared 52 pages Book with Abstracts, all in the style with other products. 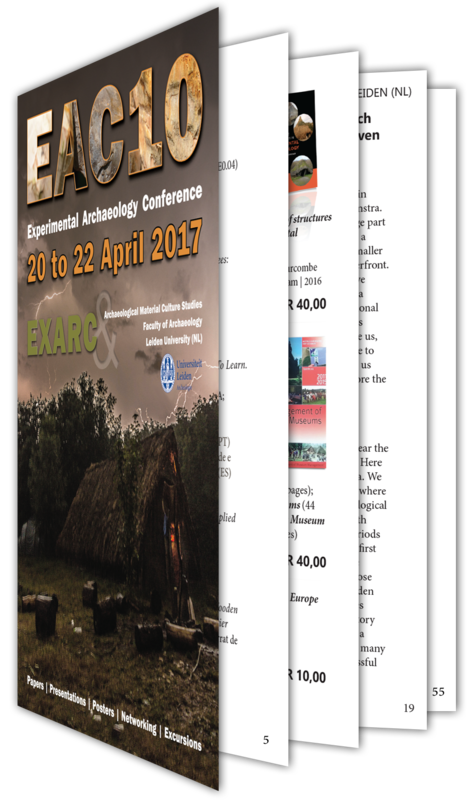 2016-2017: For an International Conference in April 2017, organized by EXARC, we designed a poster, also used as advert (for example at the back cover of EXARC Journal Digest 2016-2, A4 size). 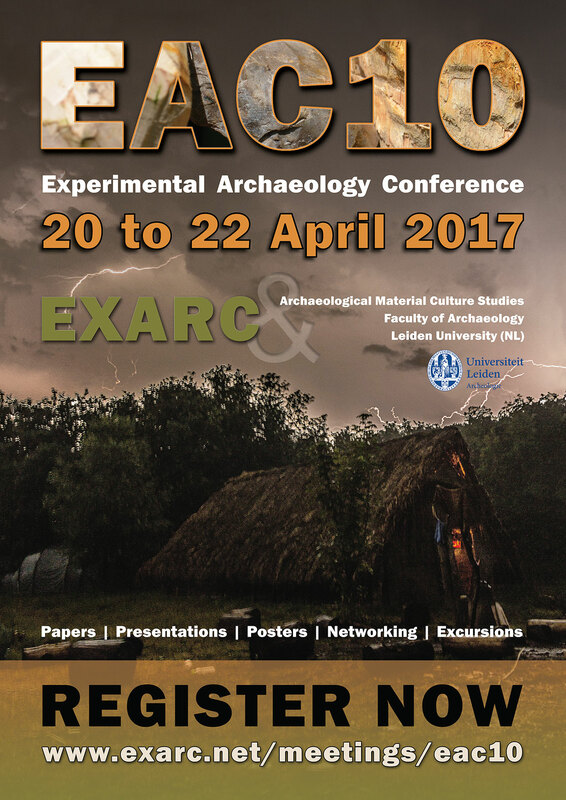 The poster is A3, designed in full colour using images of the Leiden University Archaeology Department, co-organizer of the conference. 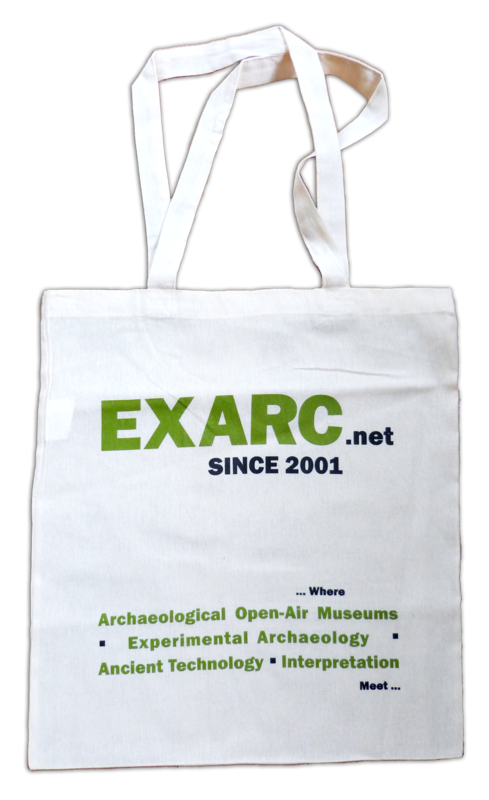 Later we prepared the conference bag - printed in two colors, on natural 100% cotton bags: 38 x 42cm. 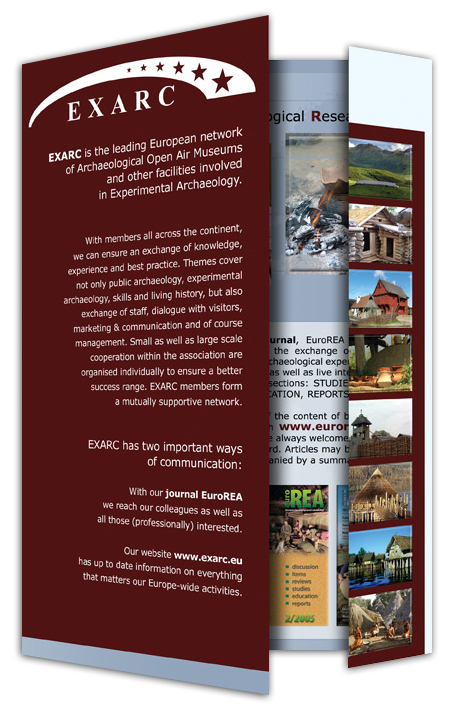 We also made a notebook - A5 size with 25 pages - including EXARC logo / web address and the branding message. 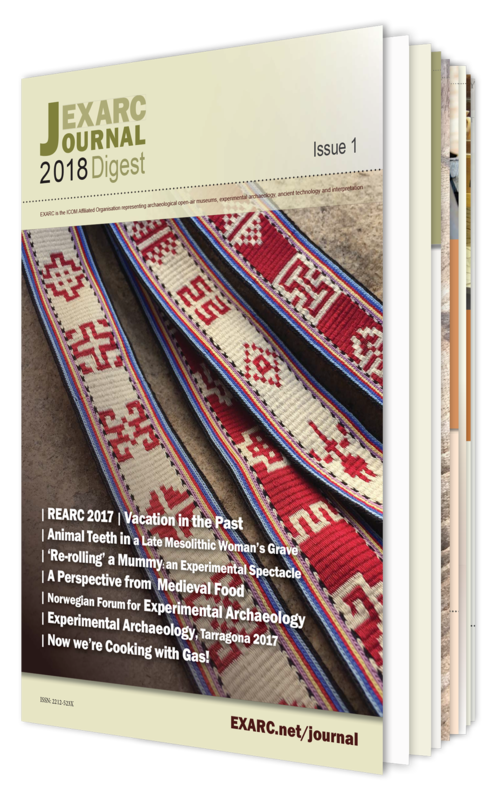 It has been printed in full color, in the circulation of 150. 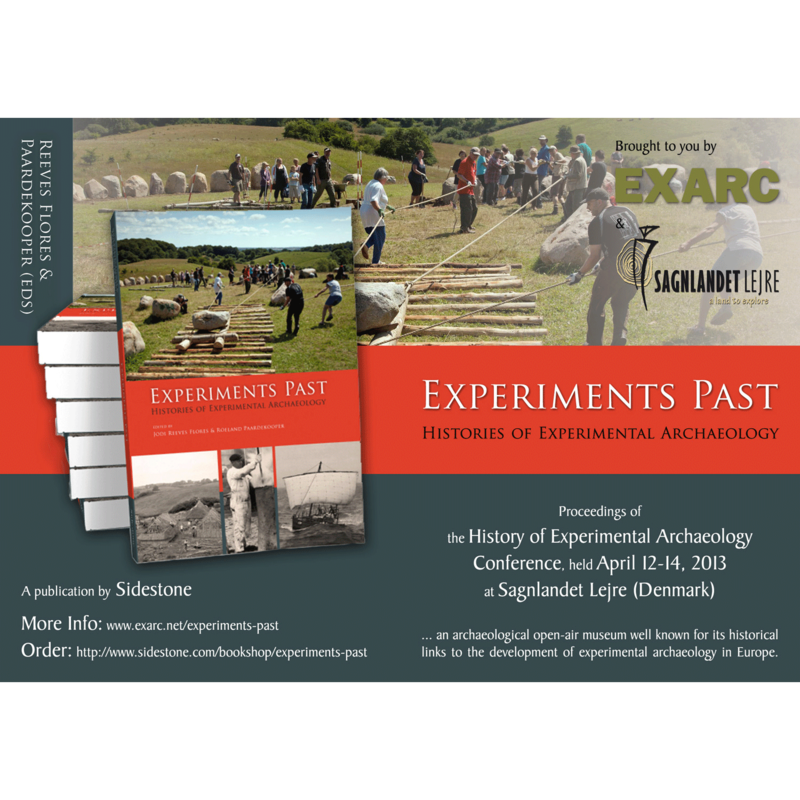 Finally, we made the Conference Abstracts Book. 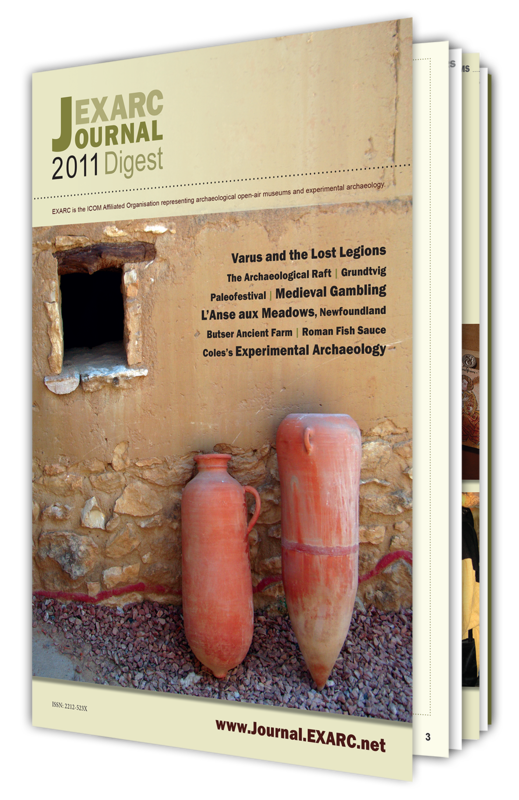 The book is A5 and counts 56 pages, printed in full colour, circulation: 150. 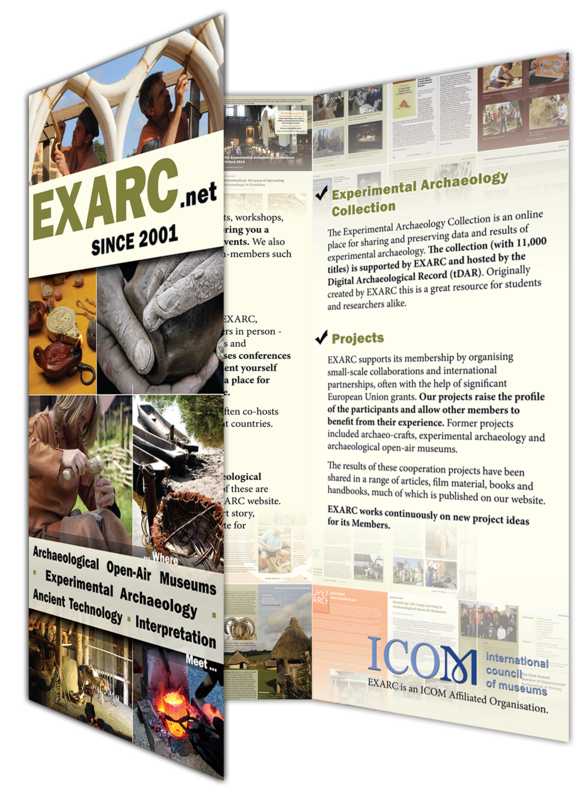 For the same conference, we prepared a new folder for EXARC and new banners (80 x 160cm). 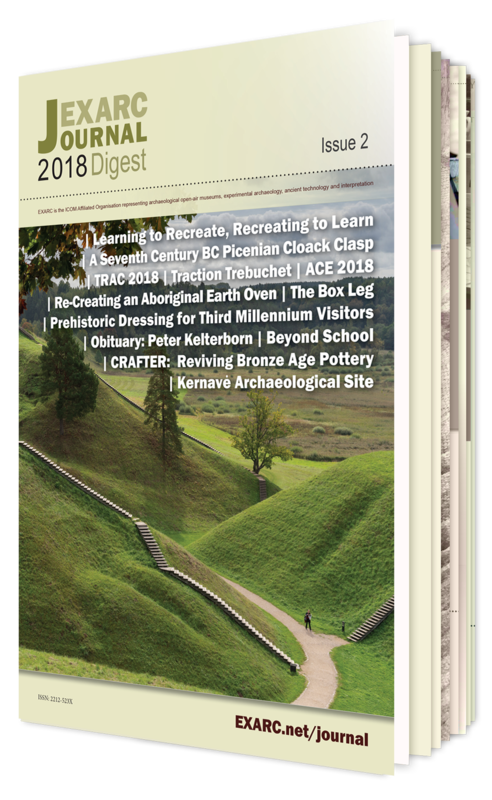 The banner was also a base for the cover of the new folder. 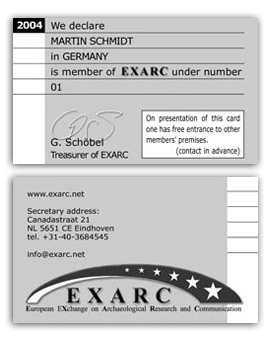 Later we prepared stationary and new shields for members in the same style. 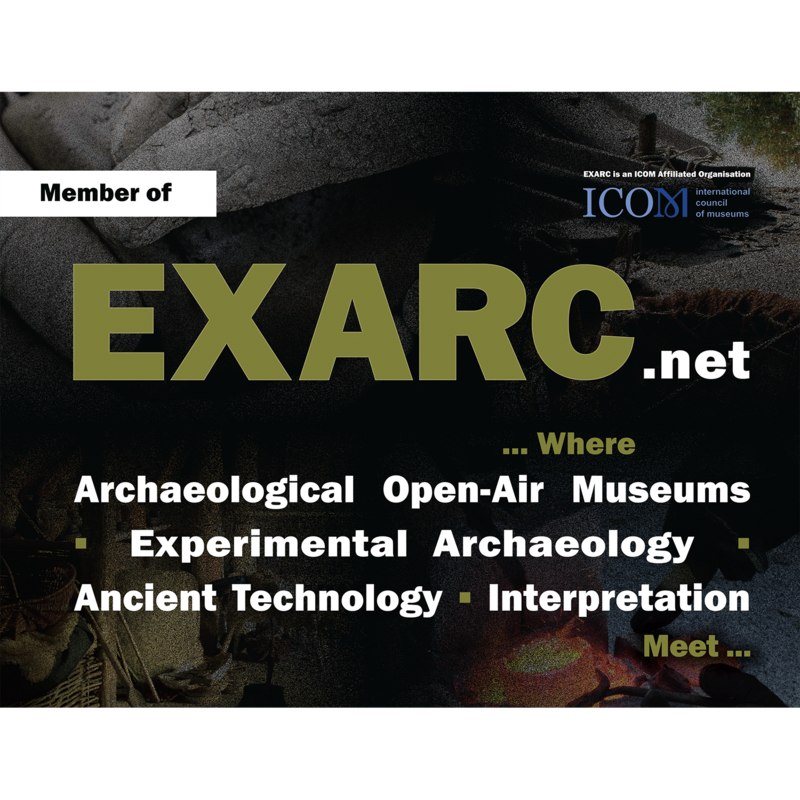 We used a new logo for EXARC from early 2016 onward, adding “.net” and, where possible, the branding message. 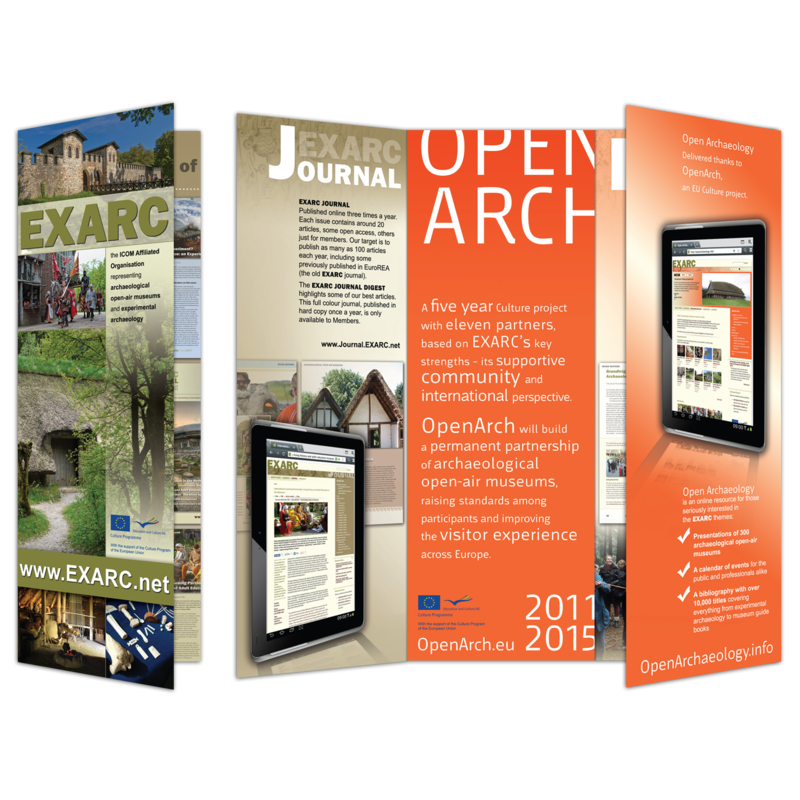 2015: new PR products: an A1 poster based on the roll-up banner we did before. 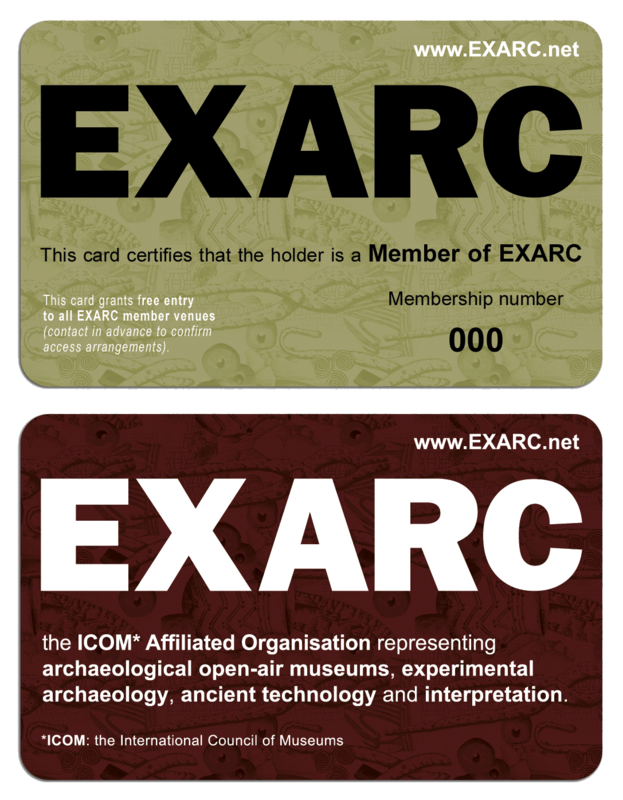 With more members joining EXARC, we were commissioned to make new membership cards. 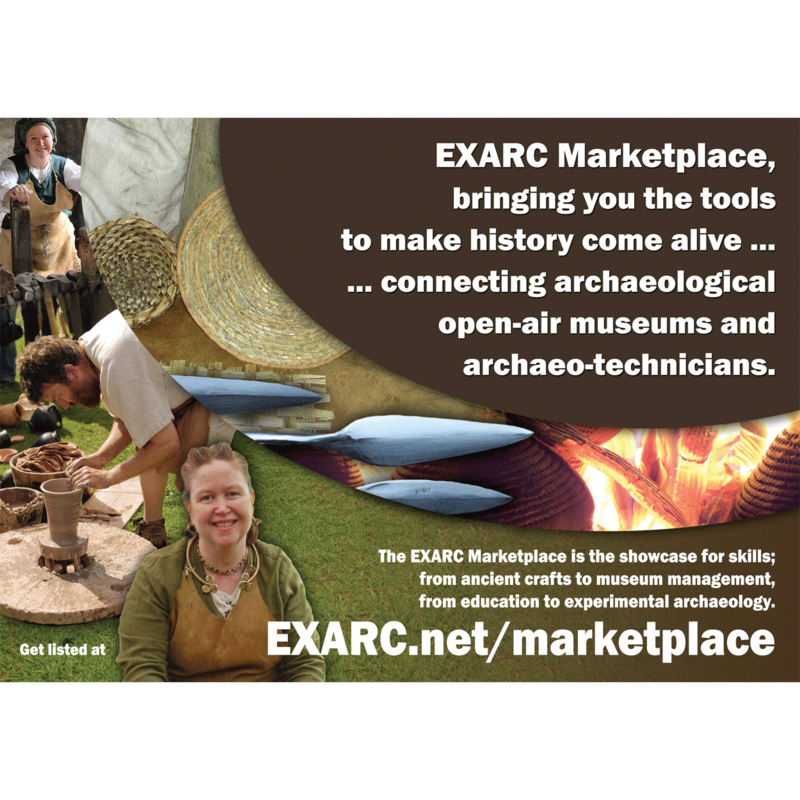 The look is updated to the latest designs for EXARC. 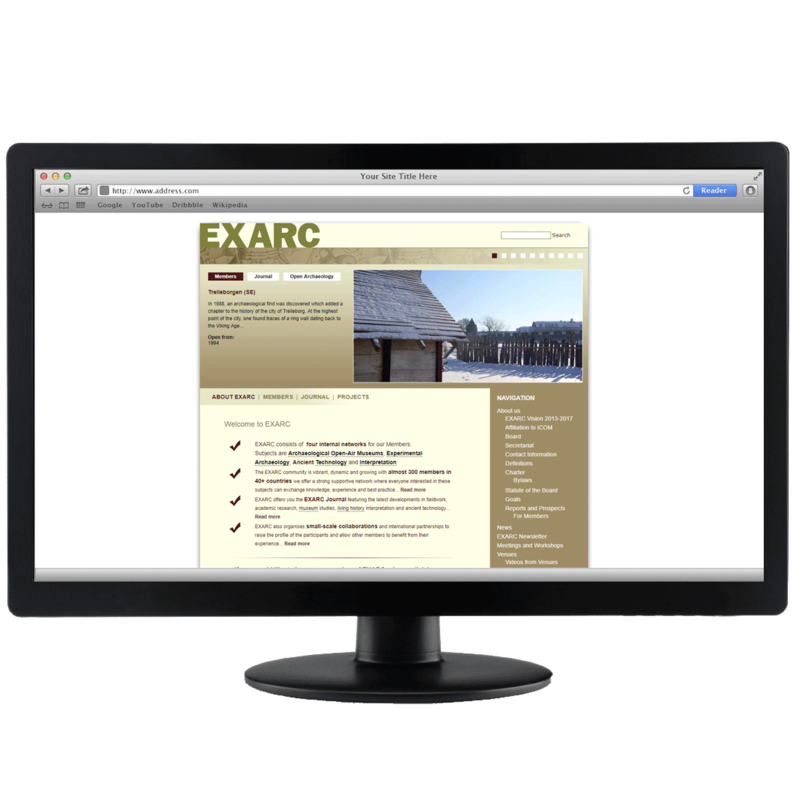 Over recent years, EXARC is sending more and more items to members and others. Not always it is necessary to write a letter to go with it. A small "With Compliments" card solves the problem. 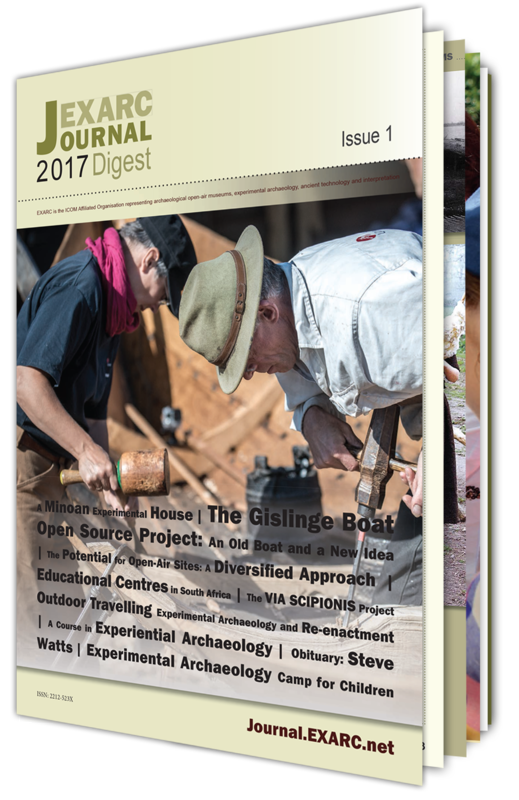 Printed in full colour on both sides on A5 250 gr paper. 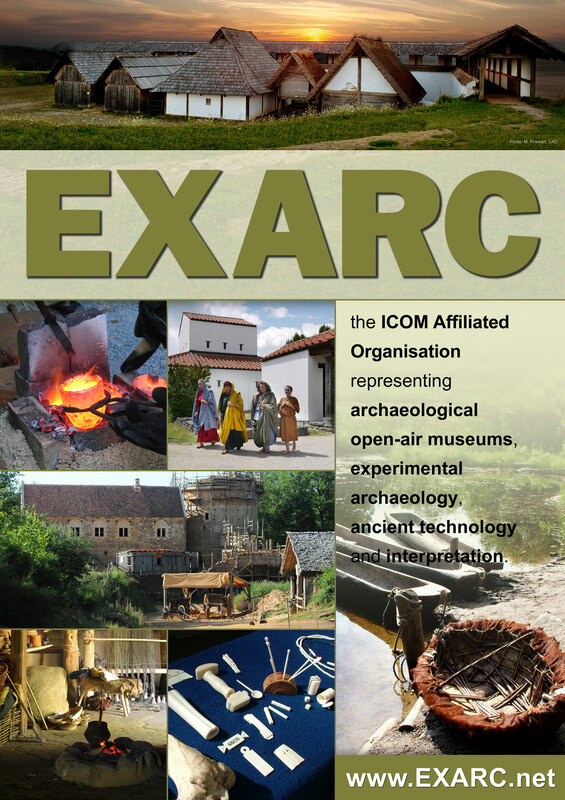 2014-2015: We made a flyer to advertise for the upcoming joint EXARC and MAMUZ (AT) conference. 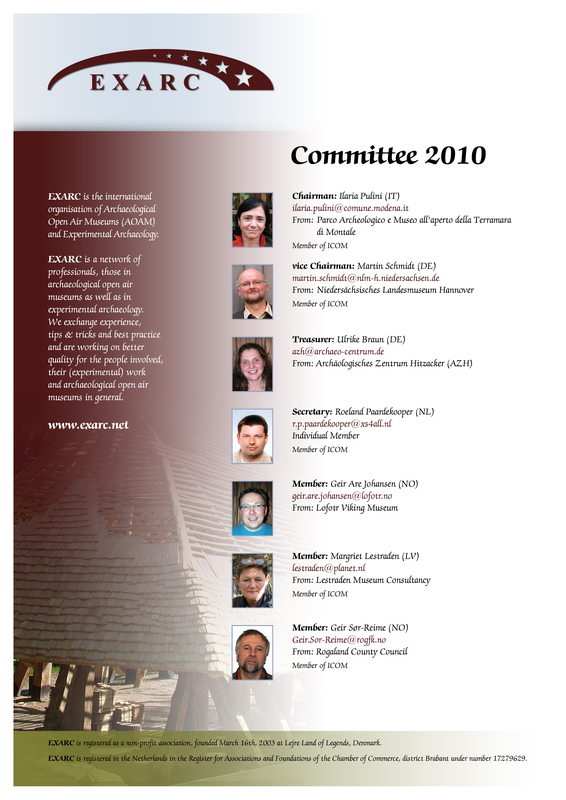 Later we also made a folder with the program (folded A4). 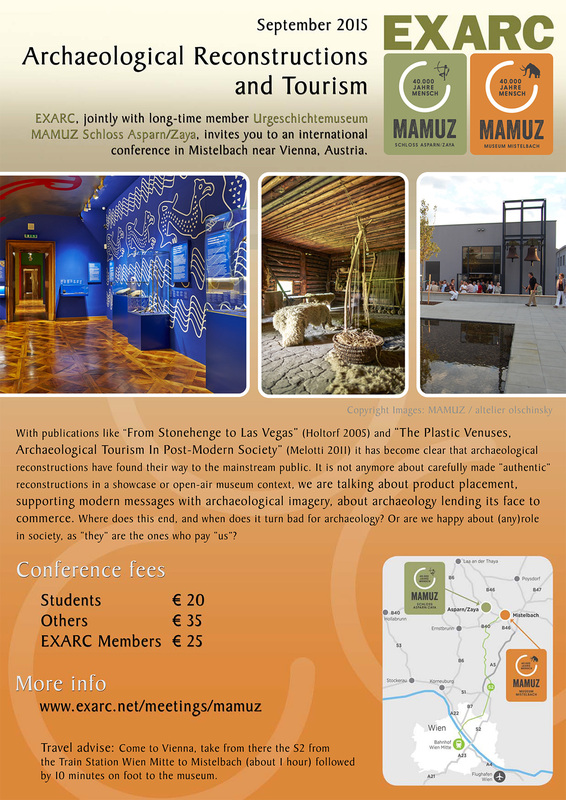 2012-2013: several PR products were developed; An OpenArch folder, flyer and adverts for the SPT Bulletin in America. 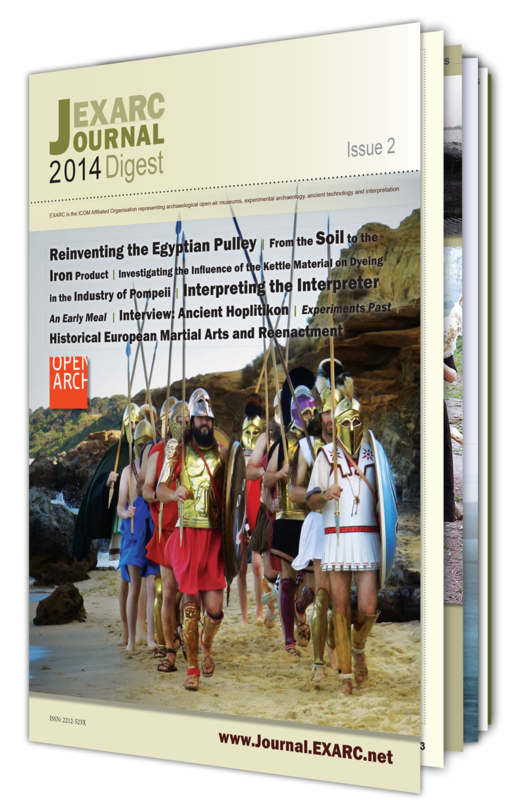 2012: Manual for a two-year EU Project. 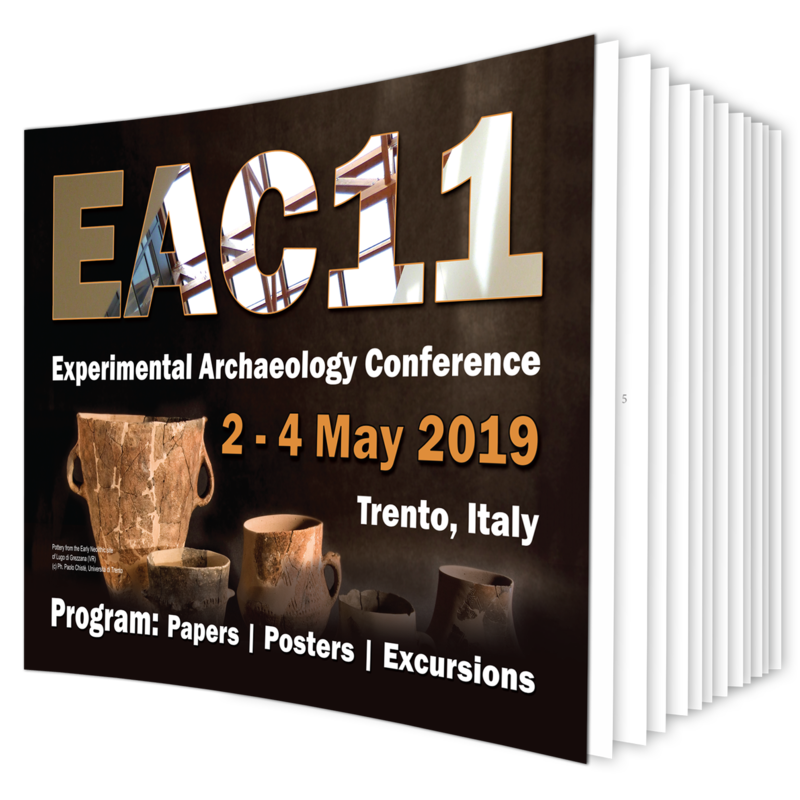 For a two-year cooperation project with nine organisations, we did the graphic design of the final manual, which consists of introductions to all partners, reflections on the meetings, and some of the lectures. 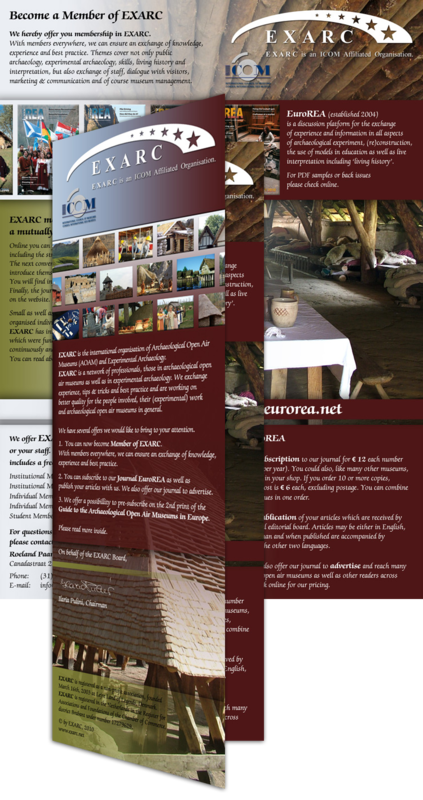 With many images, it became a full colour 56 pages brochure, 20 copies printed for partners, agencies and as future promotion material. 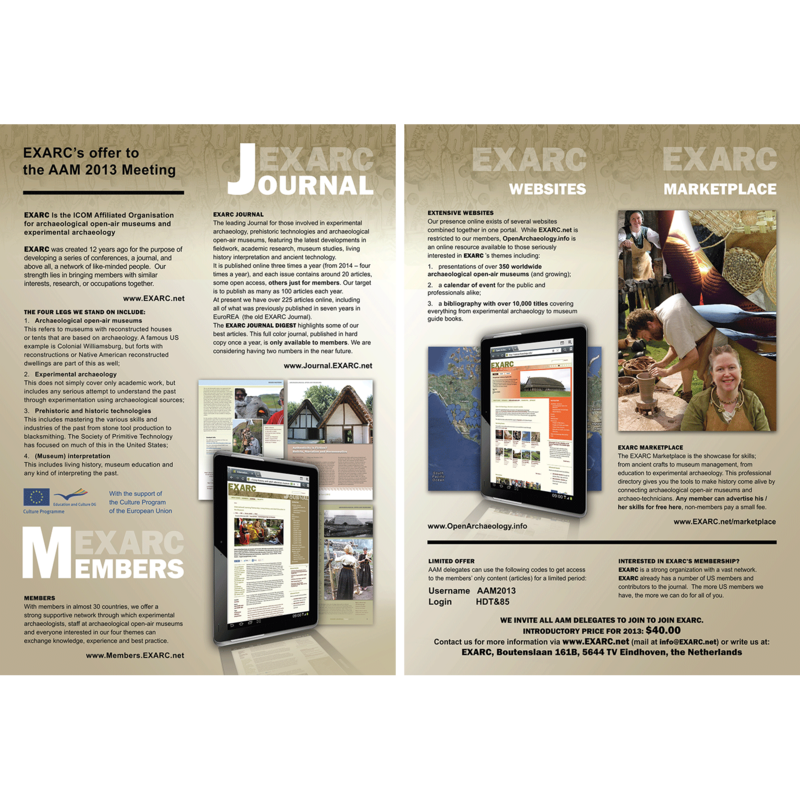 2011-present: EXARC JOURNAL Digest. 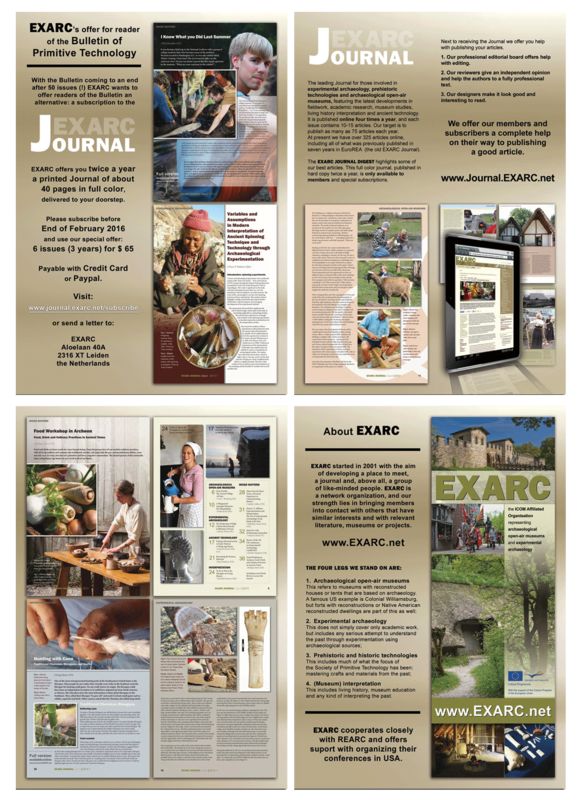 Following on another company who did this job for seven years, EXARC decided to bring the journal more in line with the other products of the association and by that having one single corporate identity for all publications. 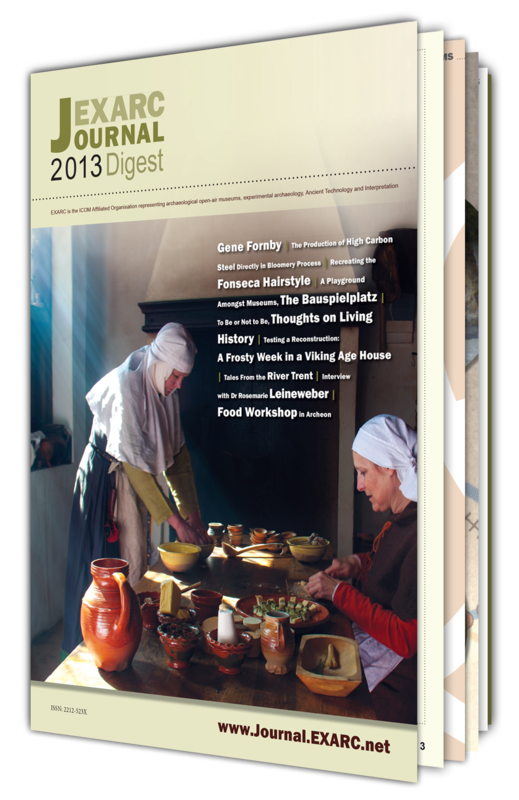 Each Digest counts 10-12 articles and a few book reviews. 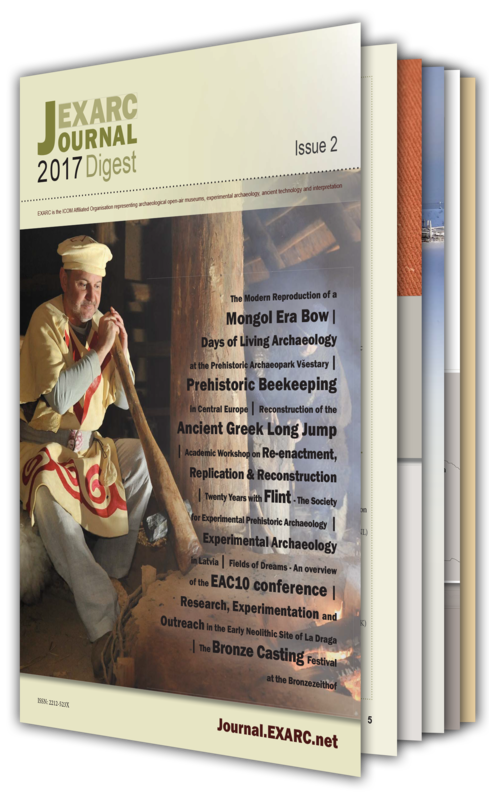 Each article has its own scheme of colors and design, but by using all shades of pastels, it comes nicely together. 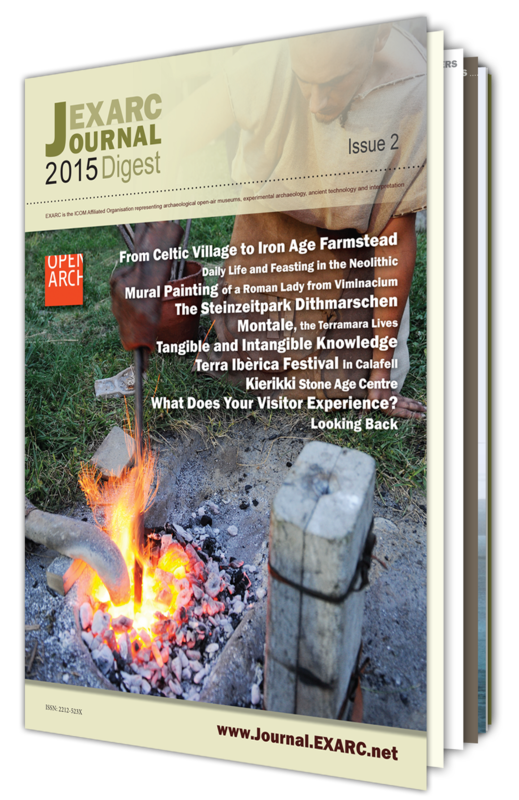 A full colour journal counts 36-40 pages. 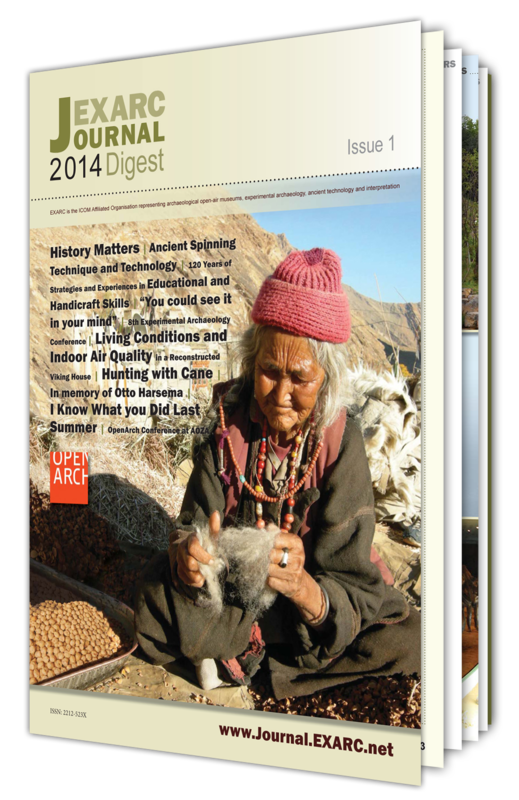 It is printed in a circulation of 500, on A4 size. 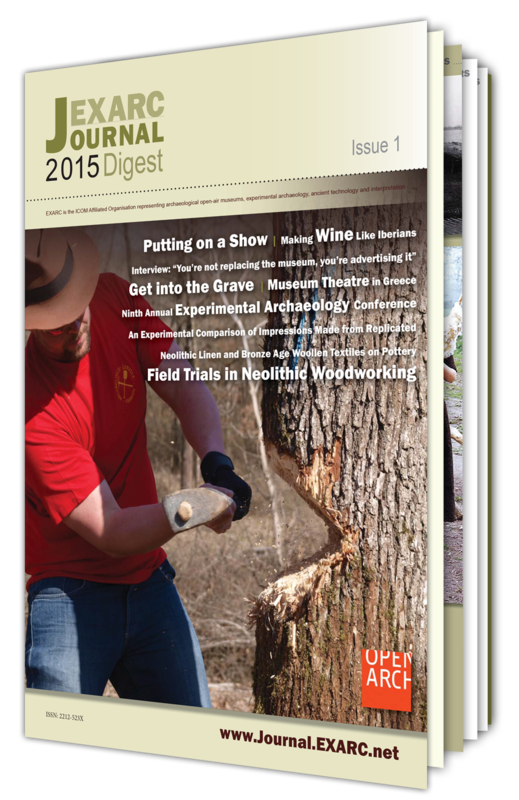 From 2014 onward, the EXARC Journal Digest is published twice a year. 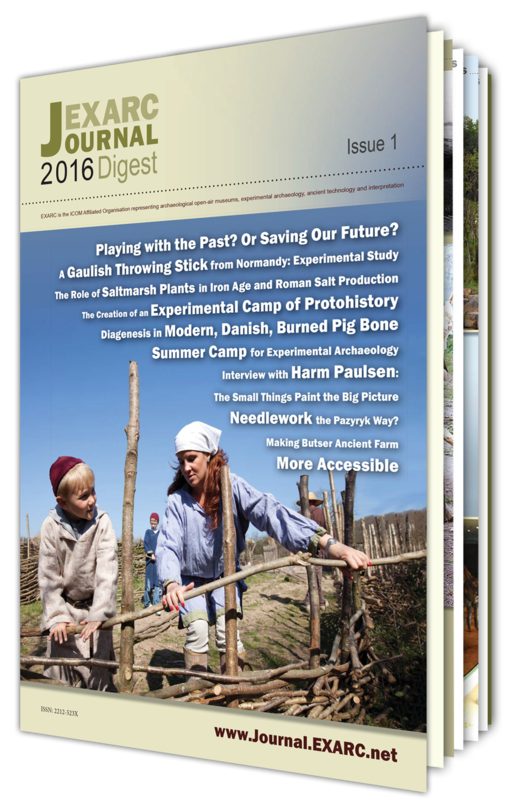 From 2012 there is a digital version of the Journal three (from 2014: four) times a year, presented on the EXARC website. 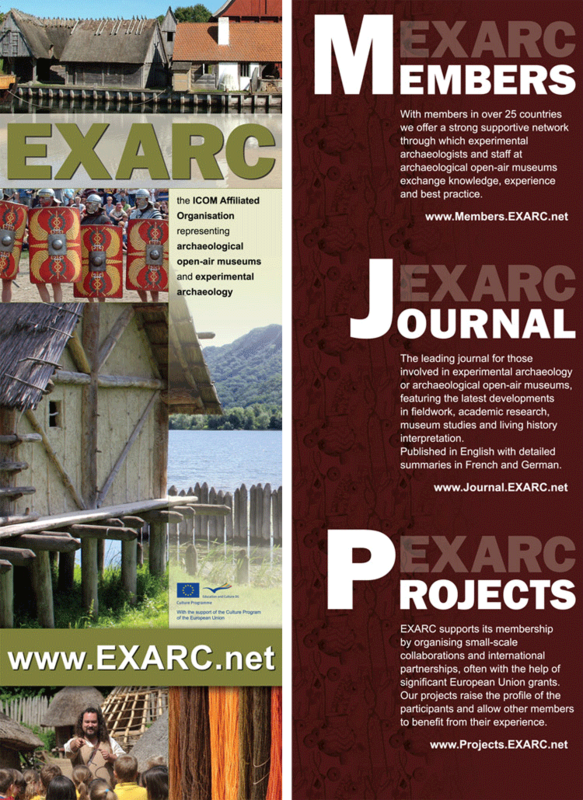 For each Digest we also designed one or more adverts for upcoming events of EXARC of its members. 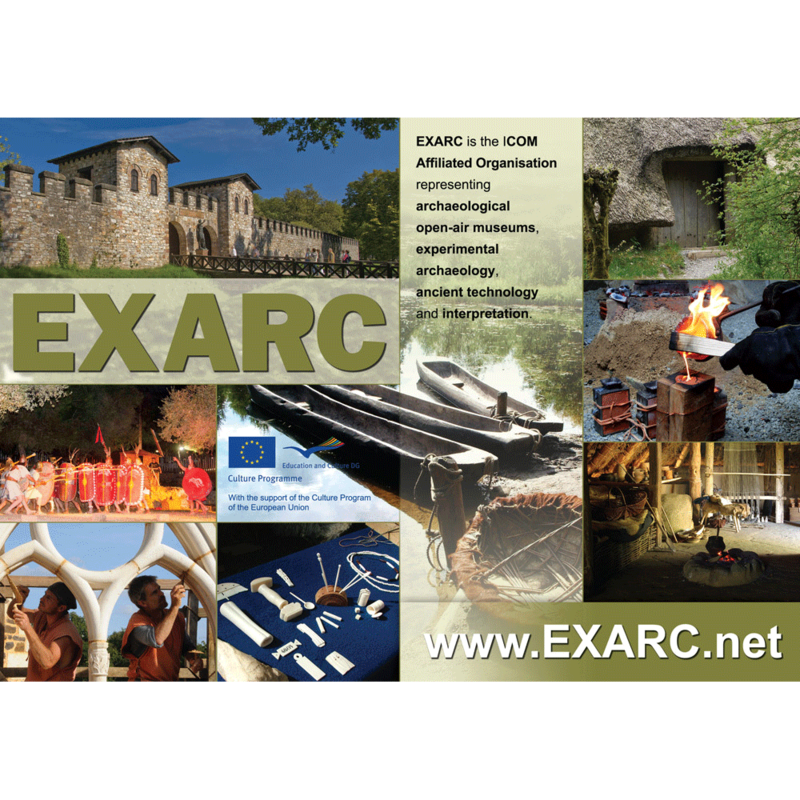 2011-2013: with the new website under development, again a new corporate identity was developed including stationary (A4 letterheads and envelopes), roll-up banners (85 x 200 cm), shields for members (20 x 26 cm), business cards for board members, new ID cards for members and a new flyer. 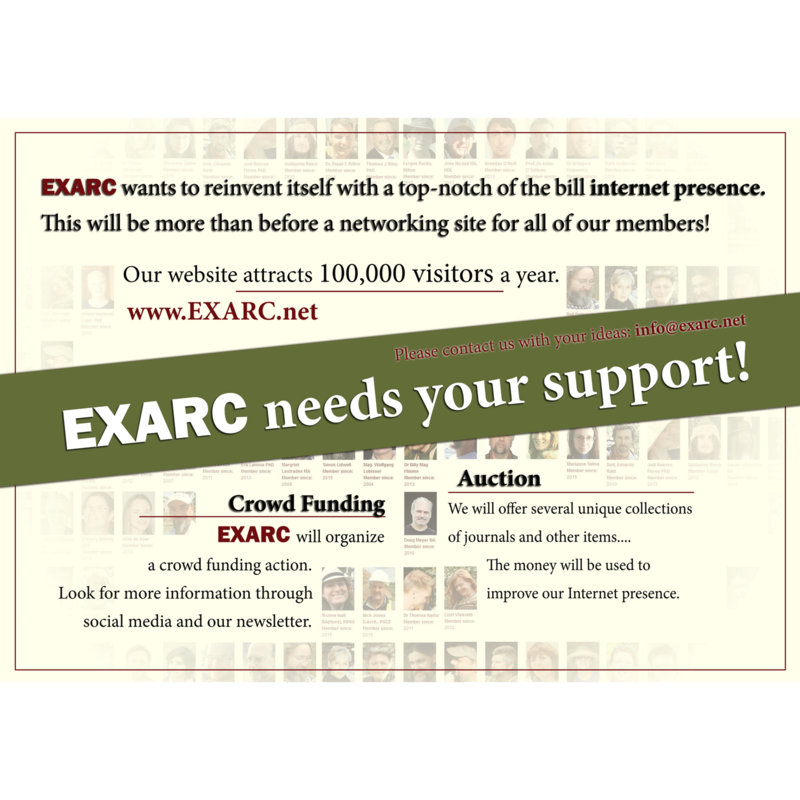 The new website is part of a bigger portal. The most important change was to synchronise the structure between all products. Besides that we changed the colors making the whole website lighter. 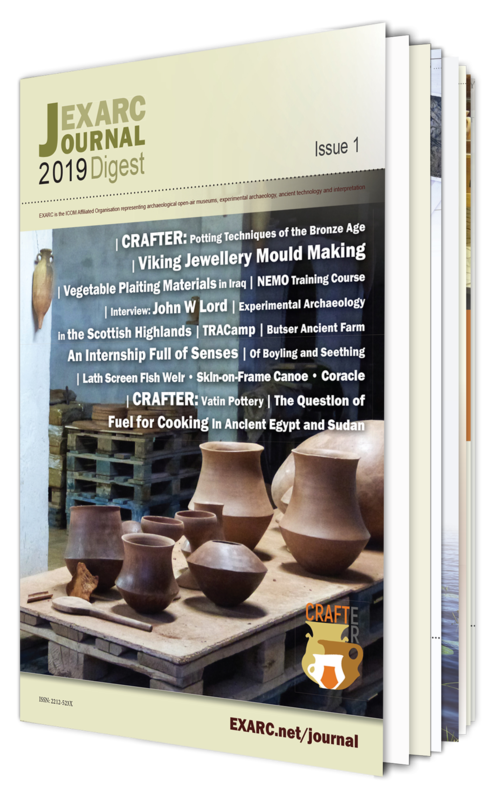 We also decided to not having a large header on the subpages but merely a small image with text, leaving more space for the contents (and less scrolling). 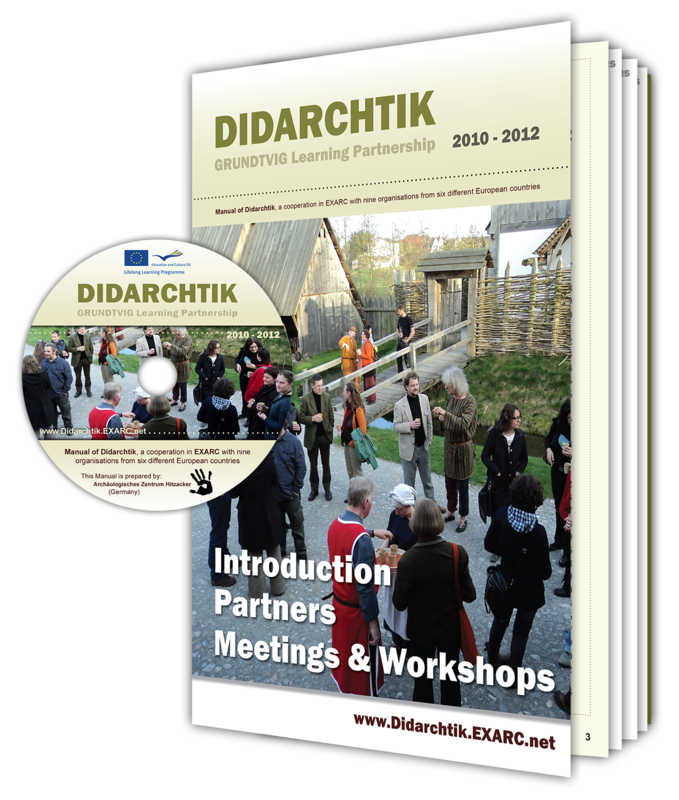 2011: Websites "Zeitgeist" & "Didarchtik" EXARC and its variety of EU projects needed a collection of sites. These were made into a portal. 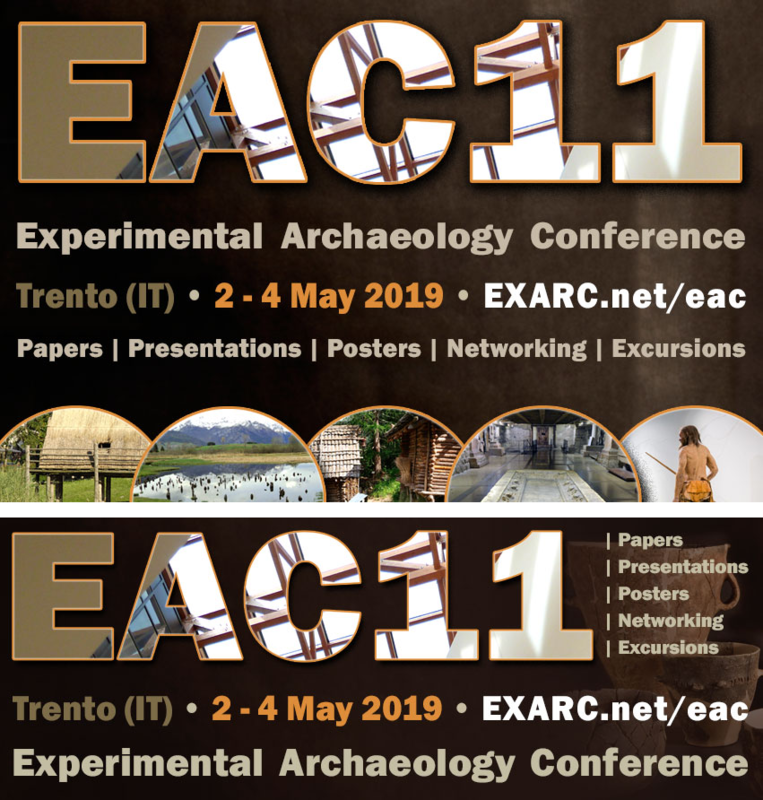 The first two sites fitting in this strategy are "Zeitgeist" (see http://zeitgeist.exarc.net) and "Didarchtik" (see http://didarchtik.exarc.net). 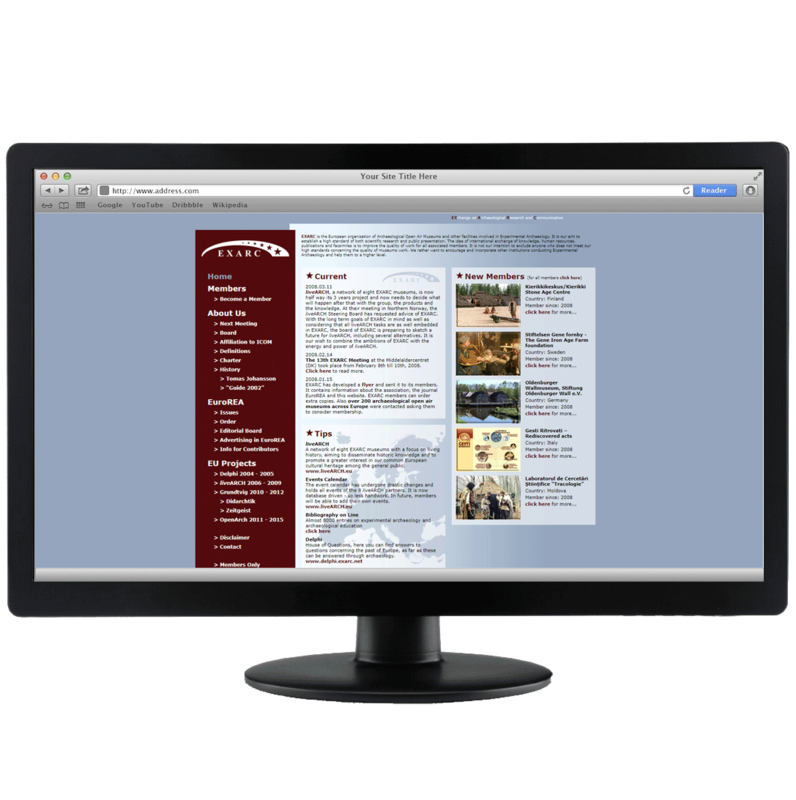 Because this was the basis for the future larger site, we spent quite a bit of time (250 hrs) to make a solid design and engine. 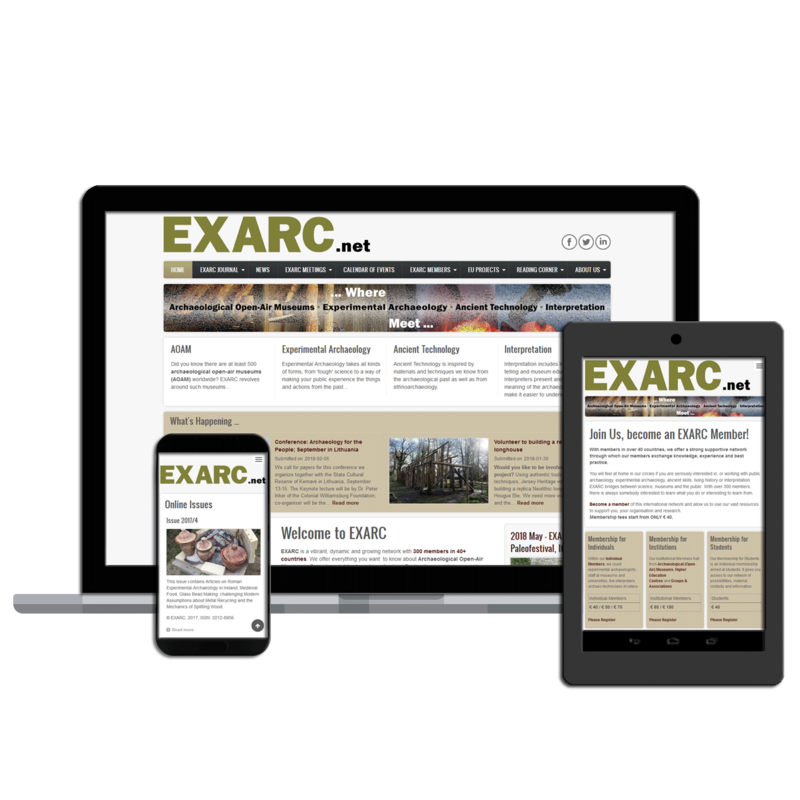 As with all sites we made lately, also here we use Drupal. 2010: After two years it was about time for a new folder. 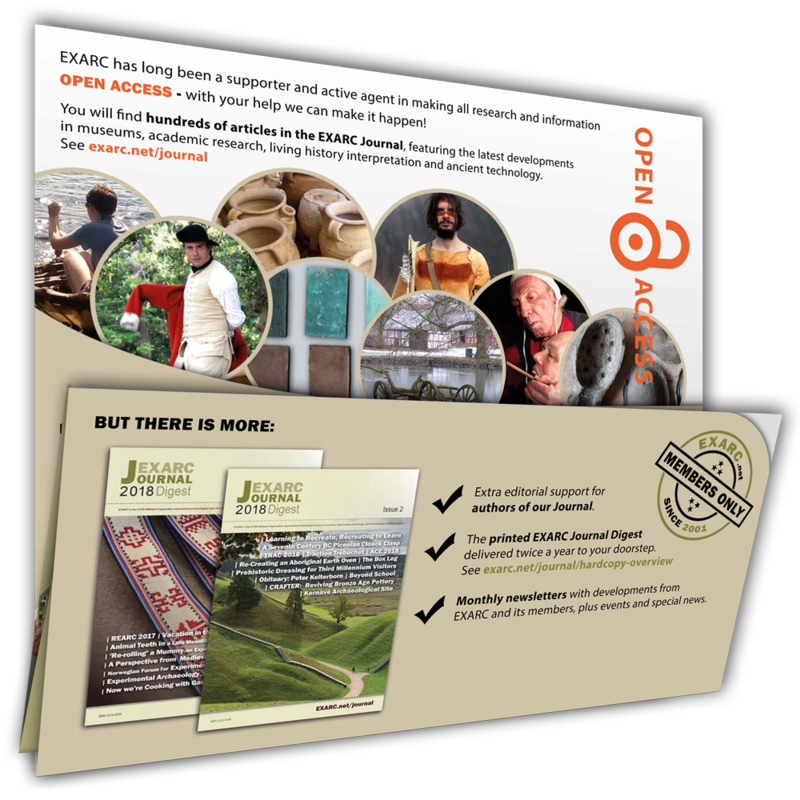 There were new offers as well as new information for the target groups. The size and style were adjusted but we tried to play with the same ideas as previously. 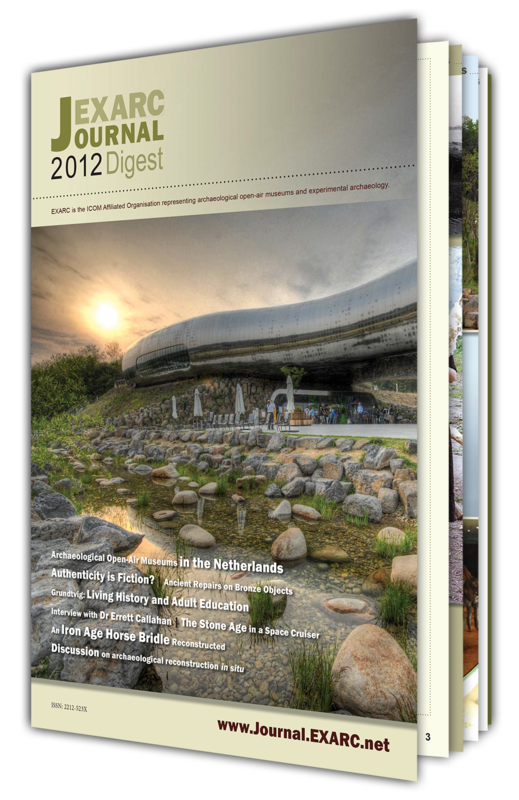 Besides the existing colours of the corporate design another colour was introduced as well as a new font. 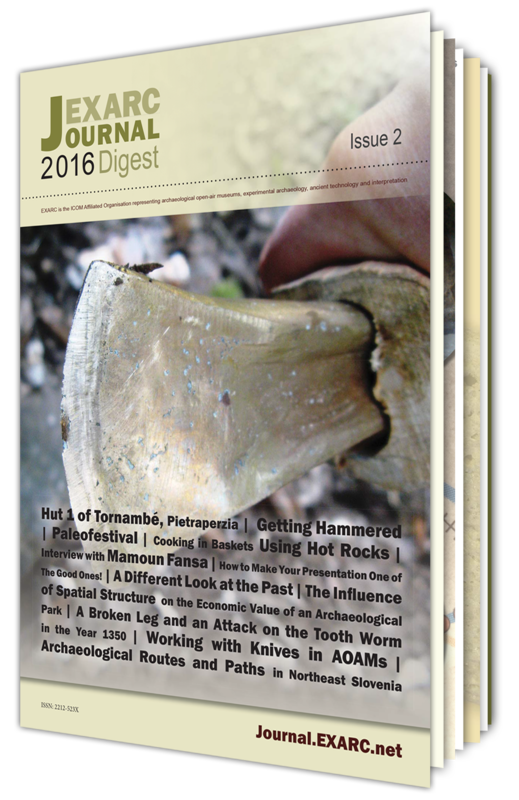 The size is A4, folded lengthwise (after folding it is 29.7 cm tall and 10.5 cm wide). Circulation 1,000 pieces, 4/4, 170g mat coated paper. 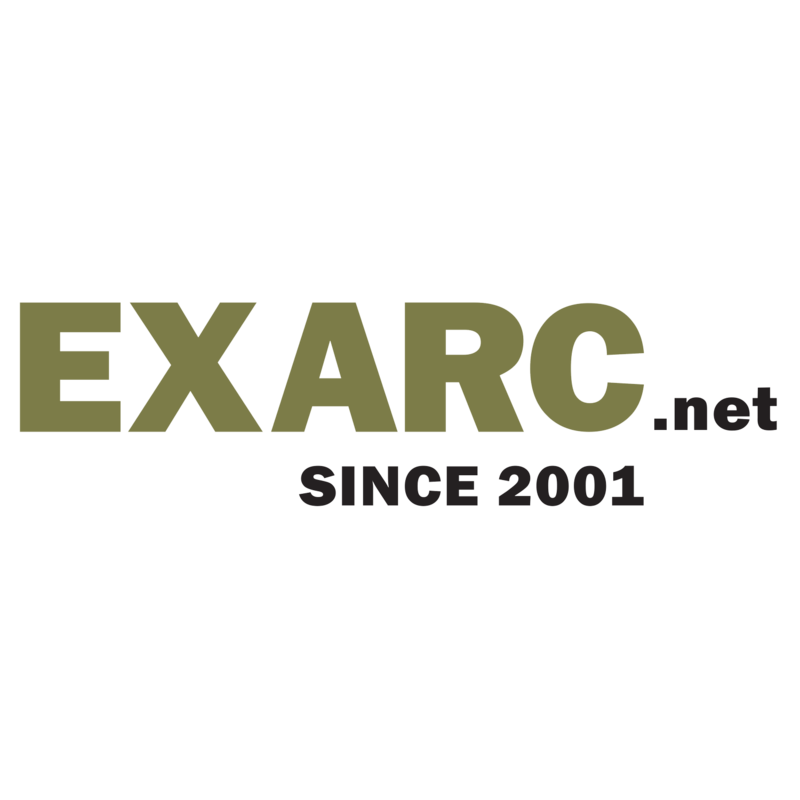 2007: After having been on line for 5 years a new website was made. We made a division between content and design by means of CSS. 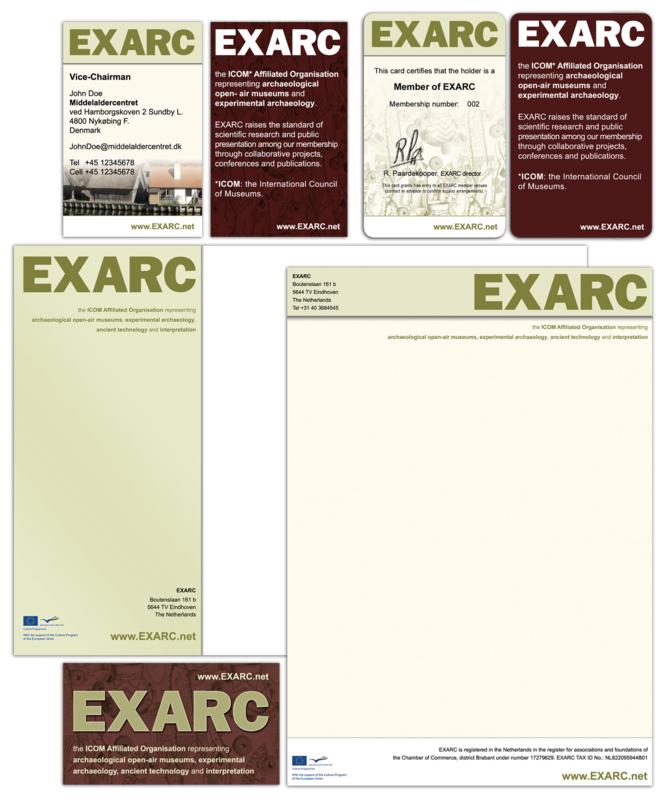 In the same go, a new corporate design was developed for all publications of EXARC; including stationary, new ID cards, and business cards. 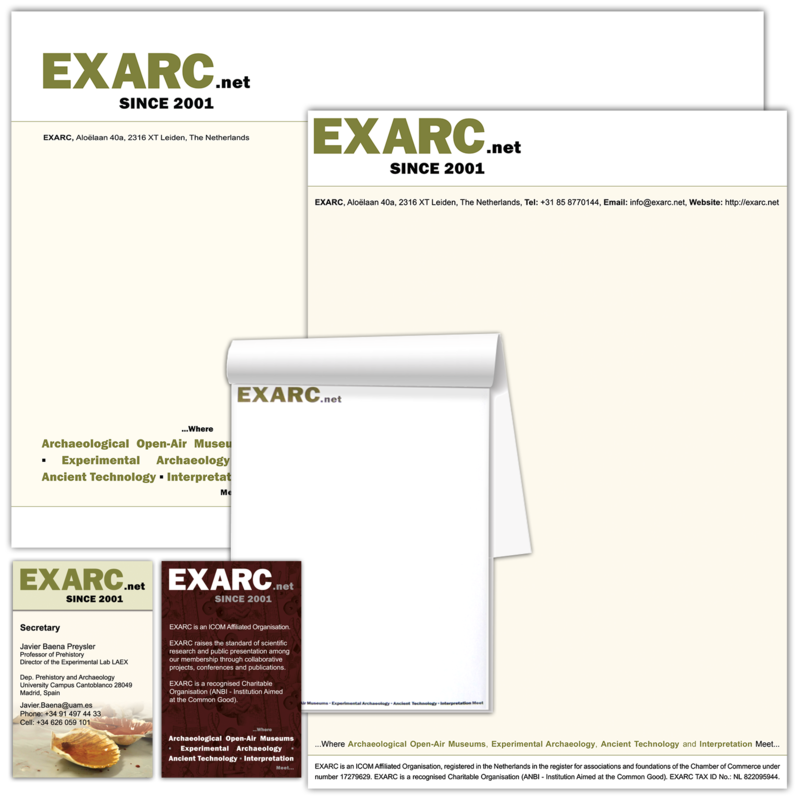 We also made a folder - reprinted twice in 2008 and once in 2009, total amount of 3000 pieces, 4/4, 170g matt-coated paper, when folded - A5 size. 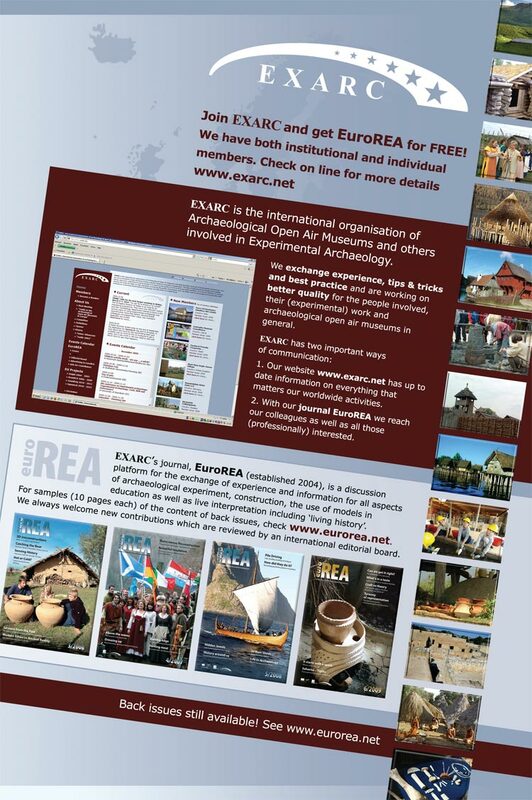 2003: This website was the presentation of EXARC. 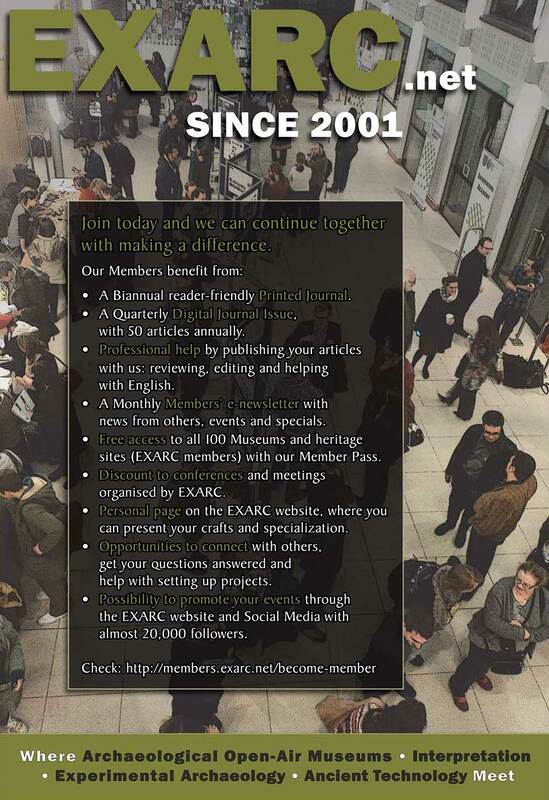 The whole site was in English only, except for the homepage. We used Flash Animation for the menus. 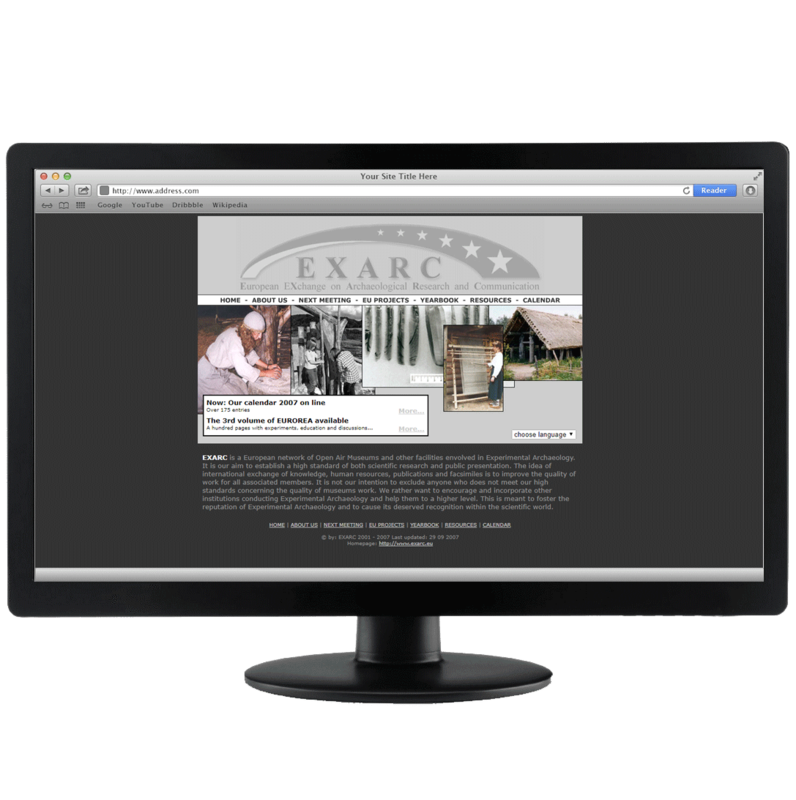 To this site, we added a bibliography with almost 7,000 titles which the client could maintain by himself. Besides that there was a small shop with 2 products which could be ordered by using a PHP form. 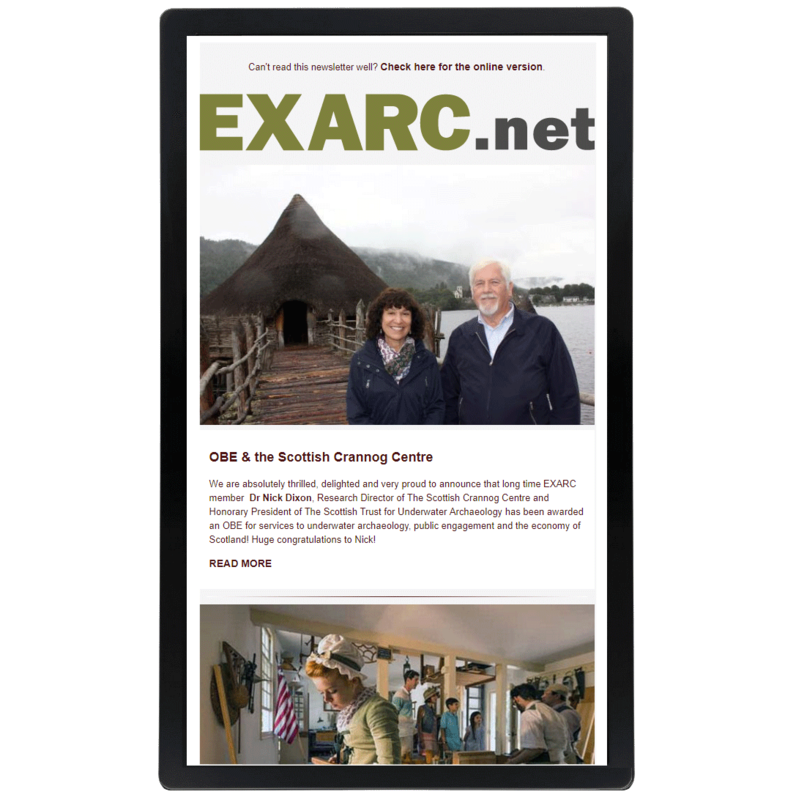 In November 2007, a new website replaced this one. 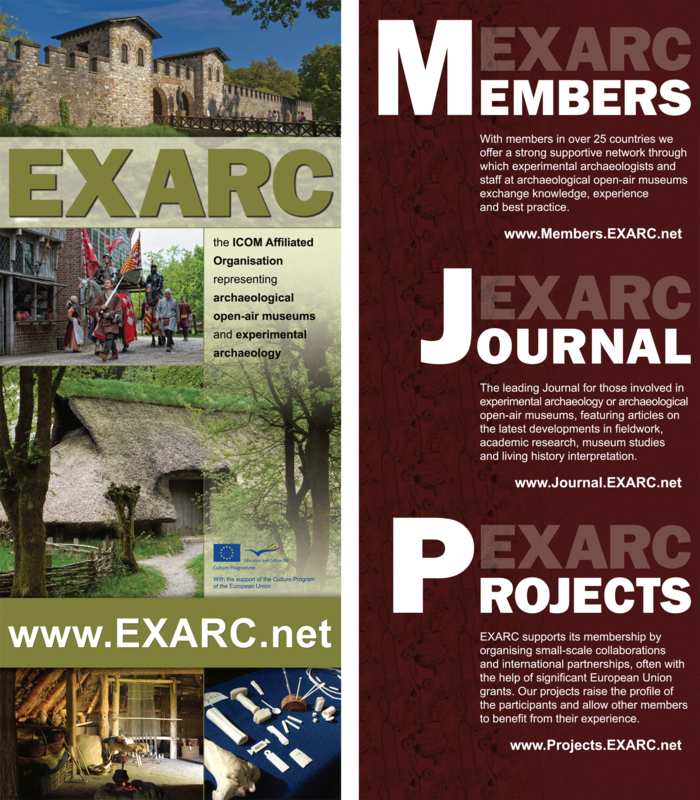 Following the new website, we also designed Member IDs for EXARC.